This Volkswagen Golf delivers a Intercooled Turbo Regular Unleaded I-4 1.4 L/85 engine powering this Manual transmission. Wheels w/Silver Accents, Valet Function, Trip Computer. This Volkswagen Golf Comes Equipped with These Options Transmission: 6-Speed Manual, Tailgate/Rear Door Lock Included w/Power Door Locks, Systems Monitor, Strut Front Suspension w/Coil Springs, Streaming Audio, Steel Spare Wheel, Speed Sensitive Rain Detecting Variable Intermittent Wipers w/Heated Jets, Single Stainless Steel Exhaust, Side Impact Beams, Side Curtain Protection Curtain 1st And 2nd Row Airbags. 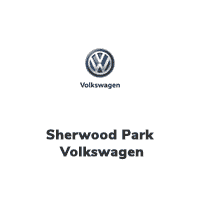 Visit Us Today Treat yourself- stop by Sherwood Park Volkswagen located at 2365 BROADMOOR BLVD, SHERWOOD PARK, AB T8H 1N1 to make this car yours today! This Volkswagen Golf delivers a Intercooled Turbo Regular Unleaded I-4 1.4 L/85 engine powering this Automatic transmission. Wheels w/Silver Accents, Valet Function, Trip Computer. This Volkswagen Golf Comes Equipped with These Options Transmission: 8-Speed Automatic w/Tiptronic -inc: sport mode, Tailgate/Rear Door Lock Included w/Power Door Locks, Systems Monitor, Strut Front Suspension w/Coil Springs, Streaming Audio, Steel Spare Wheel, Speed Sensitive Rain Detecting Variable Intermittent Wipers w/Heated Jets, Single Stainless Steel Exhaust, Side Impact Beams, Side Curtain Protection Curtain 1st And 2nd Row Airbags. Stop By Today For a must-own Volkswagen Golf come see us at Sherwood Park Volkswagen, 2365 BROADMOOR BLVD, SHERWOOD PARK, AB T8H 1N1. Just minutes away! KBB.com 10 Best All-Wheel-Drive Cars & SUVs Under $25,000. This Subaru Impreza delivers a Regular Unleaded H-4 2.0 L/122 engine powering this Manual transmission. Wheels: 17 x 7 15-Spoke Design Aluminum Alloy, Variable Intermittent Wipers w/Heated Wiper Park, Valet Function. This Subaru Impreza Comes Equipped with These Options Trip Computer, Transmission: 5-Speed Manual -inc: hill holder system, flexible flywheel, fully synchronized, including reverse, hydraulically operated, dry single-plate disc clutch, starter interlock system (clutch pedal controlled) and viscous-coupling limited-slip centre differential, Tires: P205/50 R17 88V AS Yokohama -inc: Avid S34, Tailgate/Rear Door Lock Included w/Power Door Locks, Systems Monitor, Strut Front Suspension w/Coil Springs, Steel Spare Wheel, Single Stainless Steel Exhaust, Side Impact Beams, Seats w/Leatherette Back Material. This Subaru Impreza is a Superstar! KBB.com 10 Best All-Wheel-Drive Cars & SUVs Under $25,000, KBB.com Best Resale Value Awards. Stop By Today Come in for a quick visit at Sherwood Park Volkswagen, 2365 BROADMOOR BLVD, SHERWOOD PARK, AB T8H 1N1 to claim your Subaru Impreza!